Your ideal workout partner, evaluates the calories burnt, identifies your heart rate and maintains a log of your session so that you can optimize your fitness routine. The chest-straps are powered with a long-lasting battery, with a one-year warranty for prolonged use! 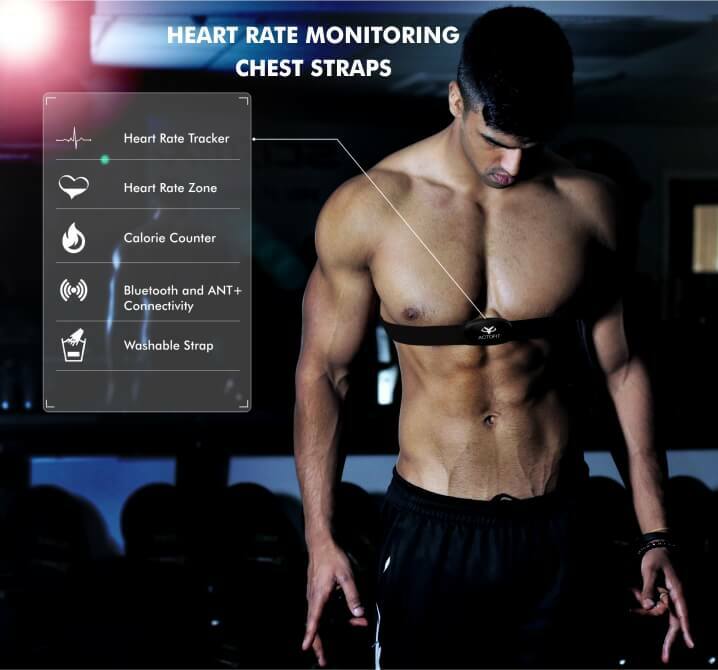 Heart-rate trackers with precise heart-rate zone analysis. Maintains and stores log of all your workout sessions. Easy pairing with smartphones with advanced Bluetooth and ANT+ connectivity. IP67 water resistant standard ensures the strap is splash/sweat proof. Adjustable, detachable and washable straps. Have you identified your ideal Heart Rate Zone yet? 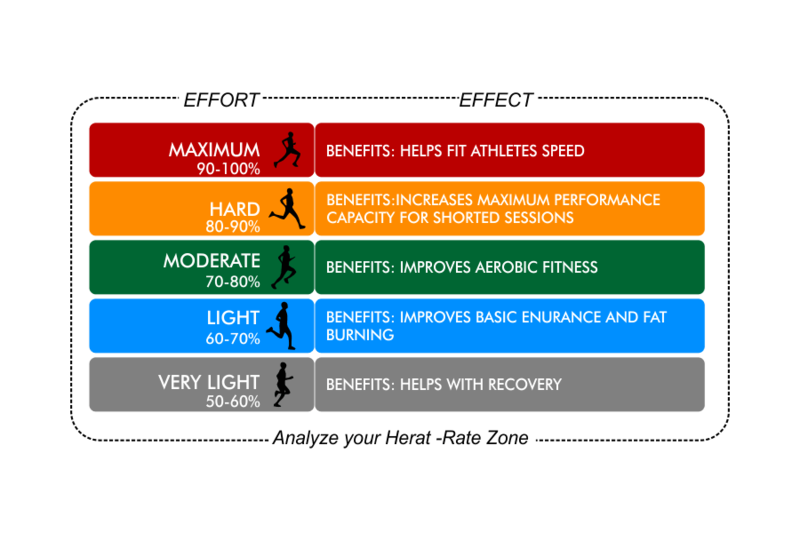 Defined as the percentages of the maximum heart-rate, determining your Heart Rate Zone will enable you to identify the upper and lower limits of your training so that you can either intensify or cool down your activity. By keeping your heart rate elevated and sustained in your target heart rate zone, you will obtain much better results than someone who doesn't. Not doing so is inefficient, and will be void of desired results. Making sure your heart rate is monitored in every 5-minute intervals during exercise, will not only indicate if you're exercising hard enough, but also if one is over-exerting yourself. Actofit App and other third-party applications. With a transmission range of 10m, you can leave your phone in your locker during your workouts. 30 day free returns and 12 months product warranty! IP67 water-resistant standard ensures that your chest strap remains functional during your workout by making the transmitter sweat-proof and splash-proof. The strap is detachable and hand-washable for continuous smooth usage. The soft textile strap is what holds the advanced oval shaped heart rate sensor transmitter, along with a firm buckle, making it extremely comfortable to wear for prolonged fitness sessions. The soft textile strap is what holds the advanced oval shaped heart rate sensor transmitter, along with a firm buckle, making it extremely comfortable to wear for long workout fitness sessions. 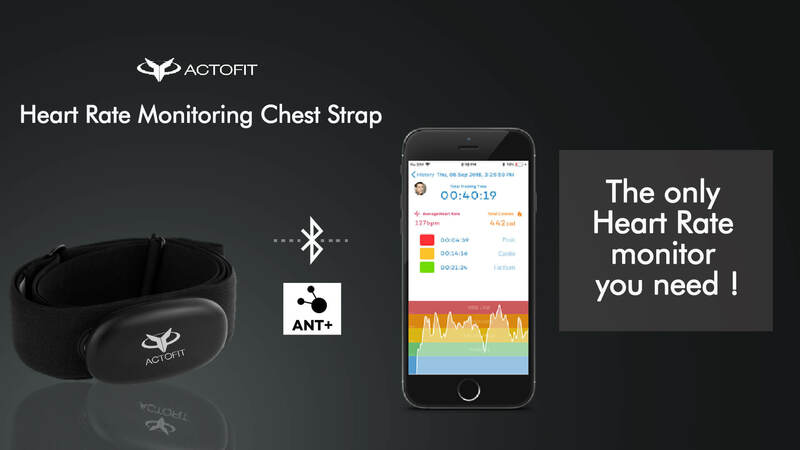 Install Actofit Chest Strap App on your smartphone. Check the back of the transmitter for left and right electrodes to position the electrodes respective side of your chest. 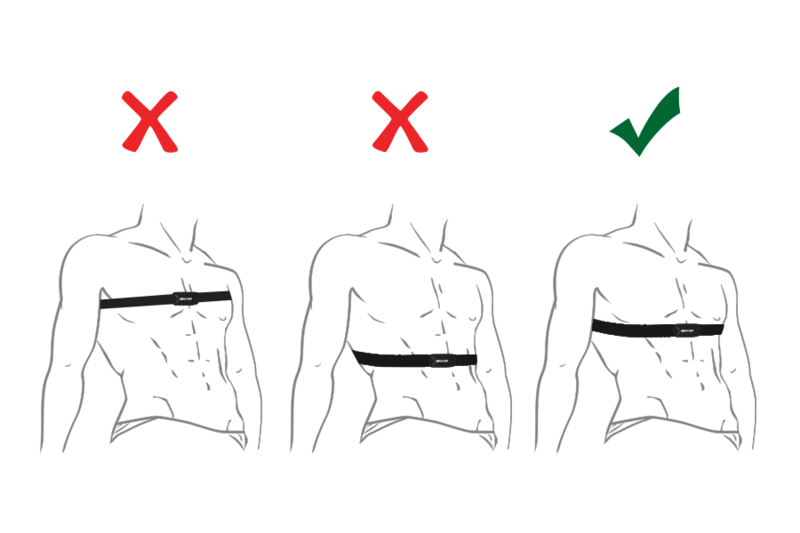 Tie the strap around your chest, just below the chest muscles and buckle up the strap. You can also adjust the strap according to your fitting. On contact with your skin, your chest strap will automatically sync with your smartphone to start tracking your activity. It is advisable to detach the transmitter from the strap to dry it off after your session.